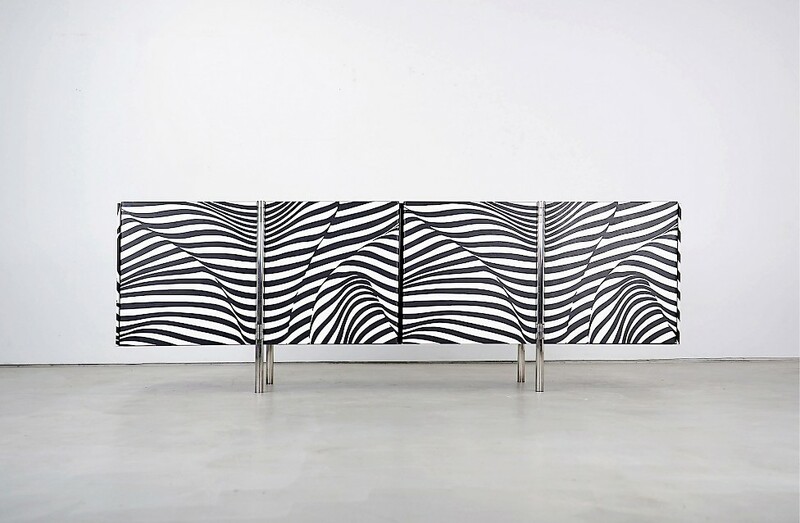 Intriguing design, use of materials and refined execution cumulate in the iconic Amor Stripe 12 sideboard by the Hausmanns from 1988. This storage piece in highest quality is laminated from all sides and thus can be placed as a room divider. All doors open 180 degrees to allow a clean look even when they are opened.